Mac Keith Press started in 1959 when The Spastics Society, a charity for people with cerebral palsy (now called Scope), approached Dr Ronald Mac Keith and his colleagues about improving the care of children with cerebral palsy. Dr Mac Keith responded by setting up the Press as a source of information. 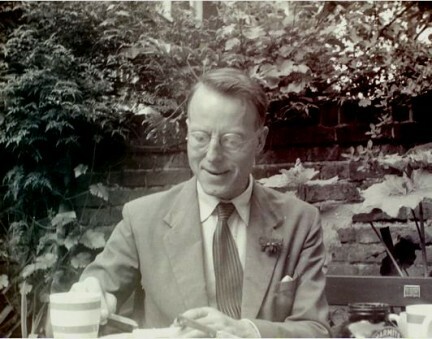 Dr Ronnie Mac Keith was born in Southampton on 23 February 1908 and was educated there at King Edward VI School. In 1926 he was admitted to Queen’s College, Oxford. From Oxford he went on to St Mary’s Hospital Medical School and obtained his BM, BCh in 1932. He completed his post-graduate training as Radcliffe Travelling Fellow at the Bellevue Hospital, New York. Later, he joined the staff of Guy’s Hospital and was appointed Children’s Physician to the hospital in 1948. Shortly afterwards he started a cerebral palsy advice clinic and this developed in 1964 into the Newcomen Centre for Handicapped Children. Dr Mac Keith became associated with The Spastics Society in the early 1950s and became Director of the Medical Education and Information Unit in 1958, an organisation which arranged a series of meetings and study groups through to 1977. In 1958 he was instrumental in founding the Cerebral Palsy Bulletin which later became Developmental Medicine and Child Neurology (DMCN), and he remained Senior Editor of this journal and of its associated series of book publications, the Clinics in Developmental Medicine Series up until the time of his death. There is more information about Ronnie Mac Keith’s life in the special memorial volume of DMCN which was published in 1978 and in our free ebook Ronald Charles Mac Keith – A Memoir. Dr Martin Bax worked with Dr Mac Keith for many years at Mac Keith Press and was instrumental in establishing the popular Clinics in Developmental Medicine series. He took over as Senior Editor of DMCN in 1978 following the death of Dr Mac Keith, while continuing to work as a consultant developmental paediatrician in the NHS. In 1990, the journal increased its publication from 6 to 12 issues a year. Because of his diplomatic efforts, DMCN became the official journal of the American Academy for Cerebral Palsy and Developmental Medicine and Child Neurology, and the British Paediatric Neurology Association. It also developed close ties with the European Academy of Child Disability, where Dr Bax was Chairperson from 2000 to 2008. During his time as Senior Editor, he established Mac Keith Meetings, Mac Keith Press workshops, and Mac Keith lectures. He retired as Senior Editor in 2003. The Collected Editorials by Martin C O Bax from Developmental Medicine & Child Neurology 1961–2003 (ISBN 1-898683-41-7) was published by Mac Keith Press in 2004. Dr Bax is Life President of the Society for the Study of Behavioural Phenotypes. Martin Bax has been a major contributor to the first three editions of Diseases of the Nervous System, edited by Jean Aicardi. He is also co-editor with Ian Crocker of The Placenta and Neurodisability, 2nd Edition (2015). Both books are part of the Clinics in Developmental Medicine series, published by Mac Keith Press. Dr Peter Baxter became Editor in Chief of DMCN in 2004. A paediatric neurologist working at Sheffield Children’s Hospital, one of Dr Baxter’s first projects at the journal was the introduction of invited commentaries on selected papers. Regular podcasts conducted by Dr Baxter with authors and reviewers also began around this time. He oversaw the transfer to electronic submission of manuscripts in 2007–8 , which dramatically cut back on decision times. Later innovations included ‘Editor’s Choice’ (papers considered to have special importance) and themed Virtual Issues. With Dr Hilary Hart as co-editor during his tenure, he expanded the journal’s focus on neurology and also significantly increased its impact factor. Peter Baxter is editor of Vitamin Responsive Conditions in Paediatric Neurology, published in 2001 by Mac Keith Press as part of the International Review of Child Neurology Series. Professor Bernard Dan, a paediatric neurologist based at the Université de Bruxelles, Belgium, took over from Dr Baxter as Editor in Chief in 2015. Mac Keith Press is managed by a Board of Directors. Members of the Board are both trustees and directors and have powers, duties and responsibilities under charity and company legislation. A list of the current members can be found here. The Board of Directors appoints an Editorial Board which oversees the strategic development of its publications. Editorial policy is under the direction of an Editorial Board with internationally recognised experts as its members. A list of the current members can be found here. As of April 2018, Mac Keith Press is no longer a subsidiary of Scope: it is a completely independent charitable company.